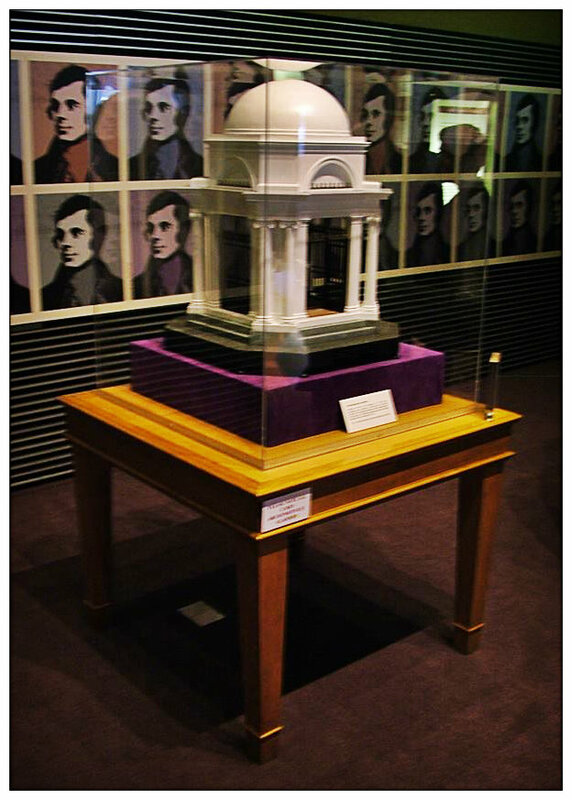 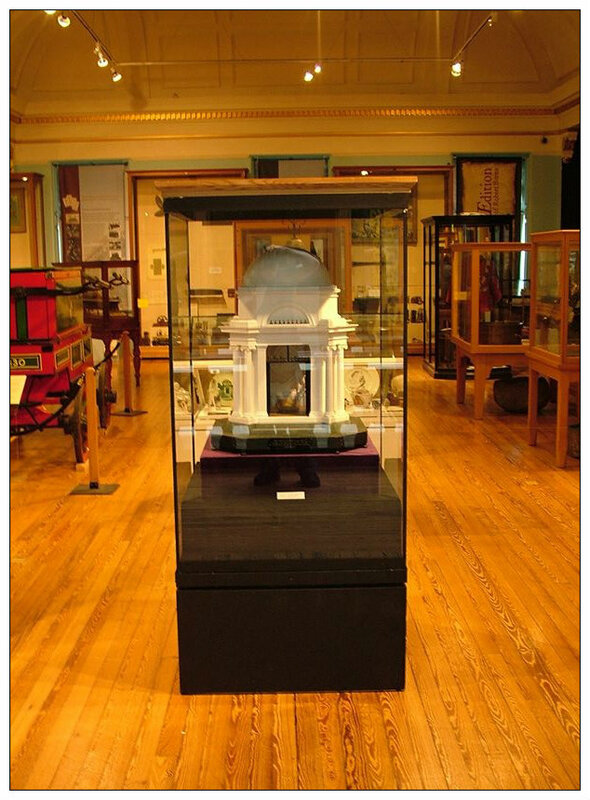 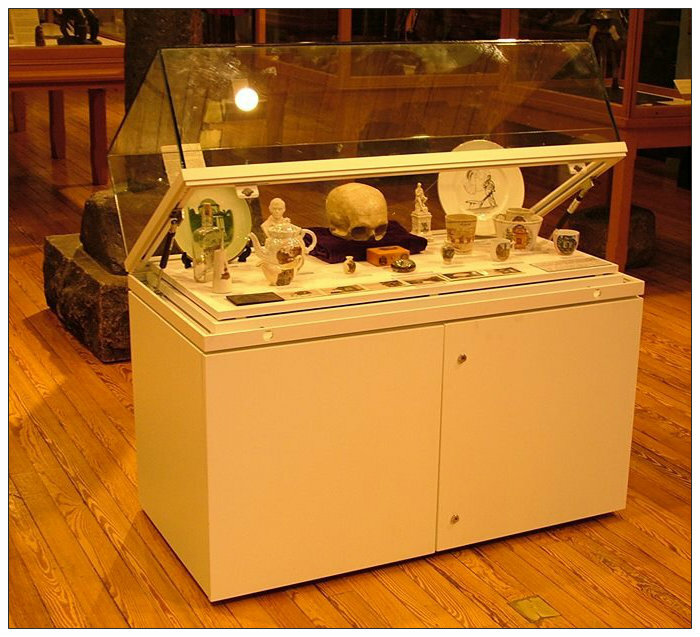 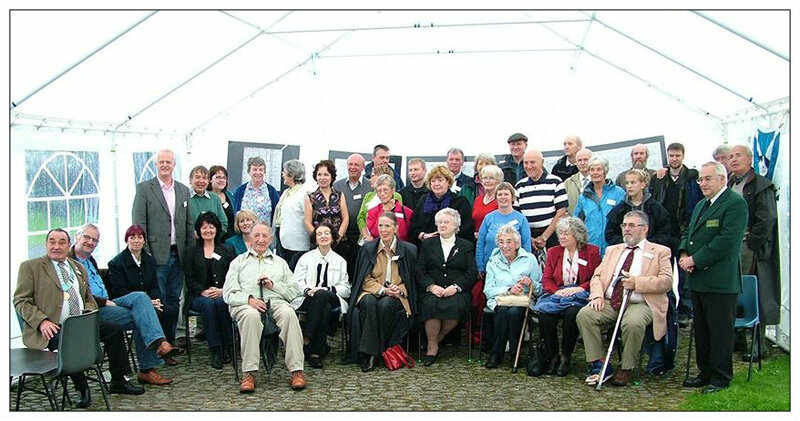 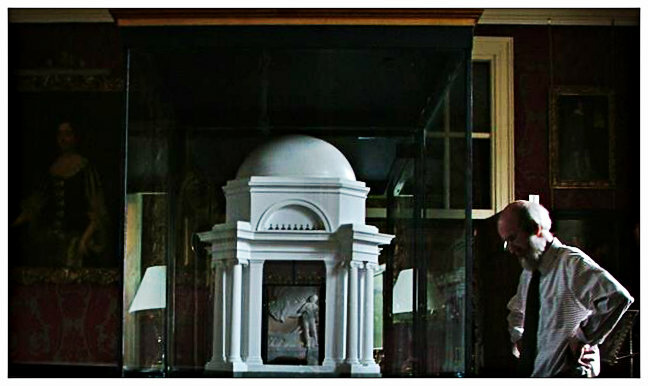 In the year of Homecoming 2009 we went on the road with our book “Hunters’ Illustrated History of the Family friends and Contemporaries of Robert Burns” and the first ever scale model of the Burns Mausoleum built by Colin Hunter McQueen. 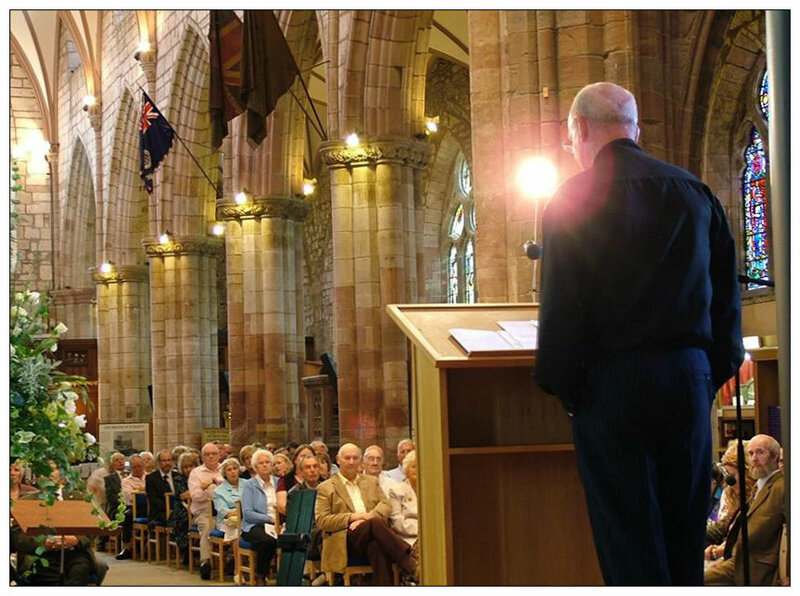 Over the course of the year this tour took us all over Scotland; starting at Dumfries, then travelling to Irvine, Greenock, Stirling, Haddington, Kilmarnock and ending in Aberdeen. 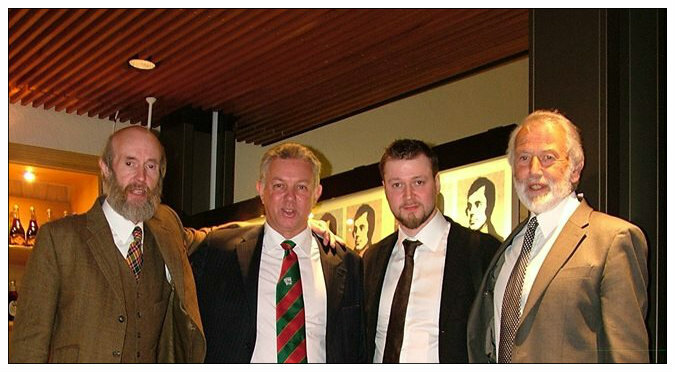 Finally we ended a great year on a real high with attending an invite to lunch in the Scottish Parliament with the First Minister, Alex Salmond. 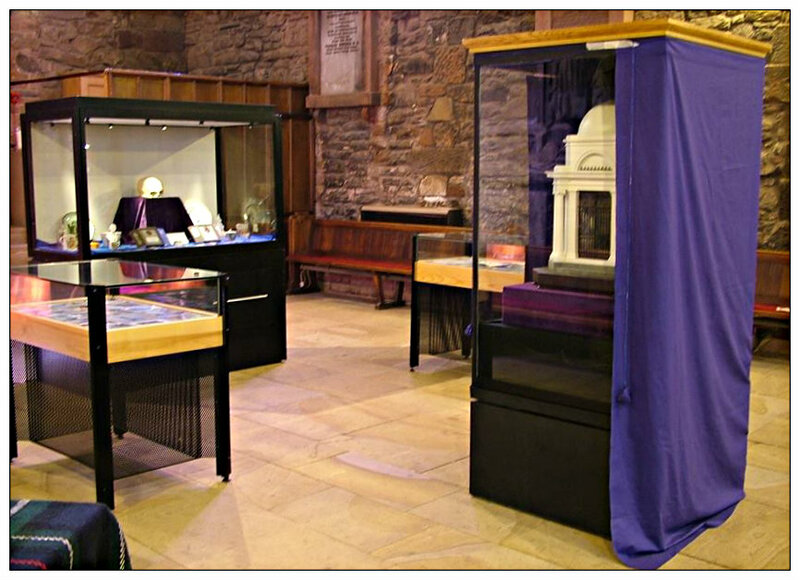 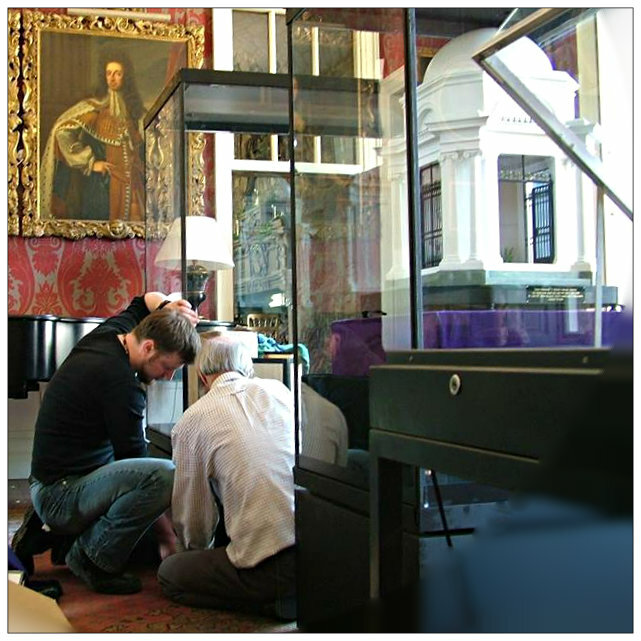 The first event was held at the Dumfries Camera Obscura Museum on the 17th of January across the River Nith and only a short walk from the Burns Mausoleum in St Michaels’s churchyard. 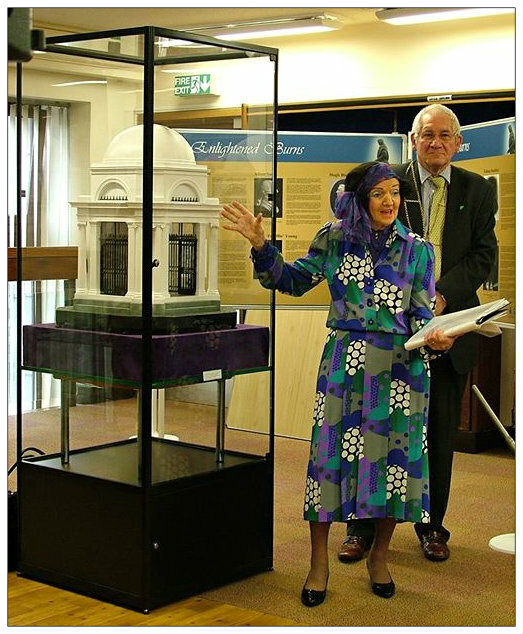 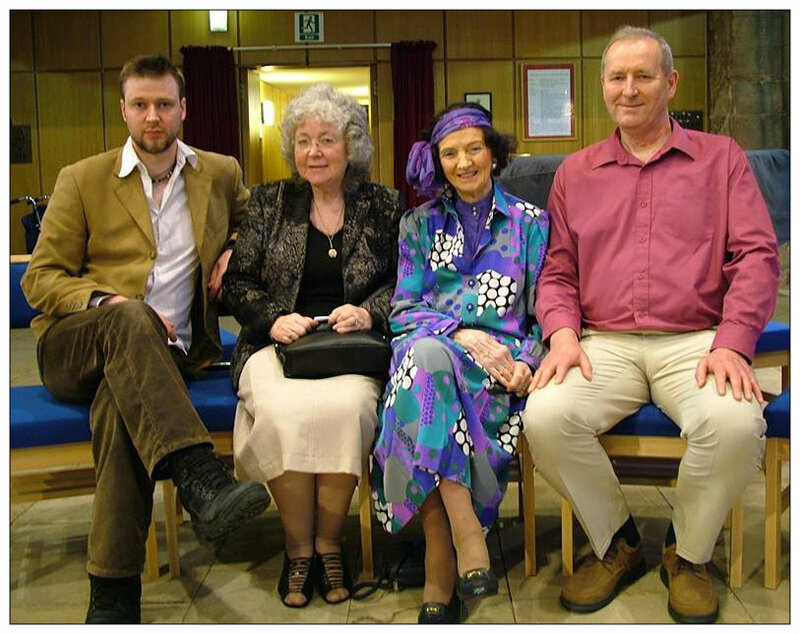 Throughout the tour we were accompanied by the late Elsie May Coom, great great great granddaughter of Robert Burns who did a speech at each event. 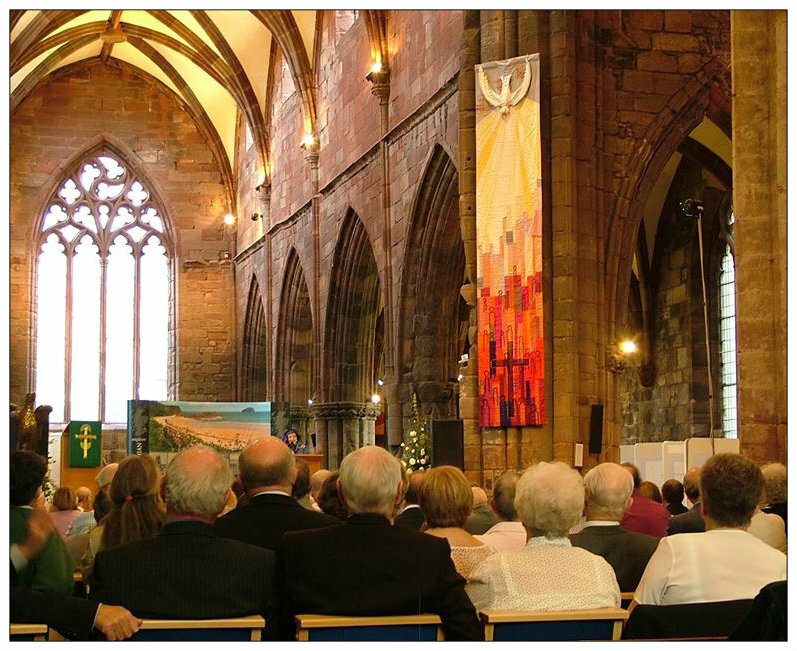 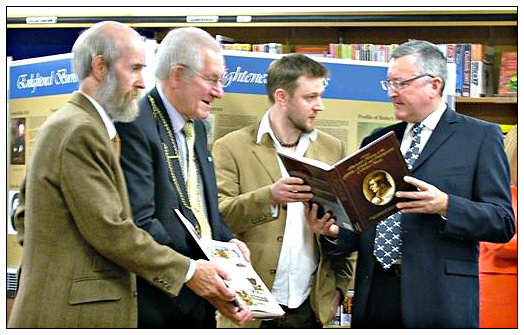 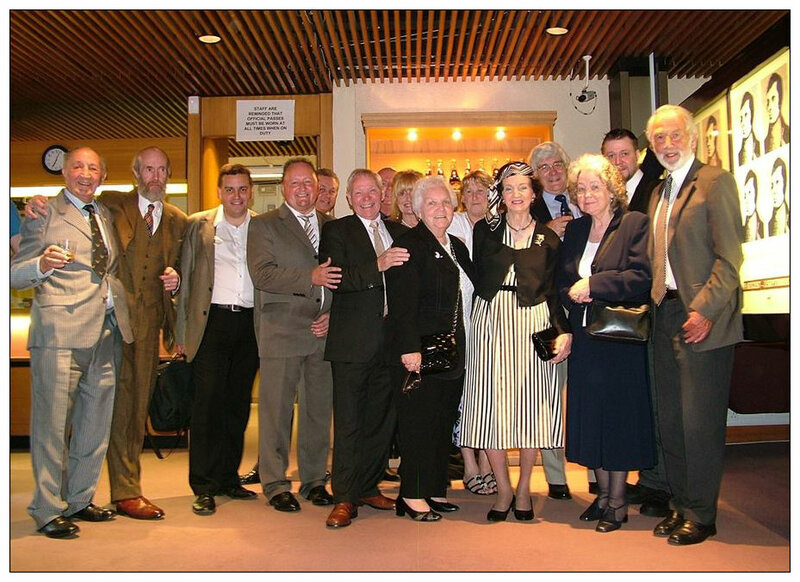 We were also joined on each occasion by great speakers such as Elspeth King, Director of the Stirling Smith Museum and Art Gallery; Wilson Ogilvy, a Past president of the World Burns Federation; The late Duke and Duchess of Hamilton; Fergus Ewing MP, and the provosts of Dumfries, Stirling, Greenock and Aberdeen. 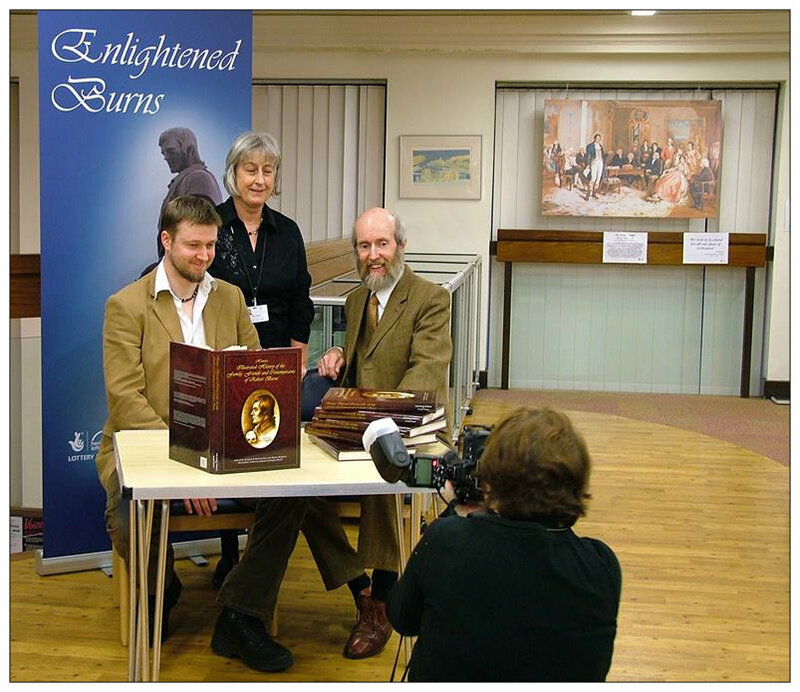 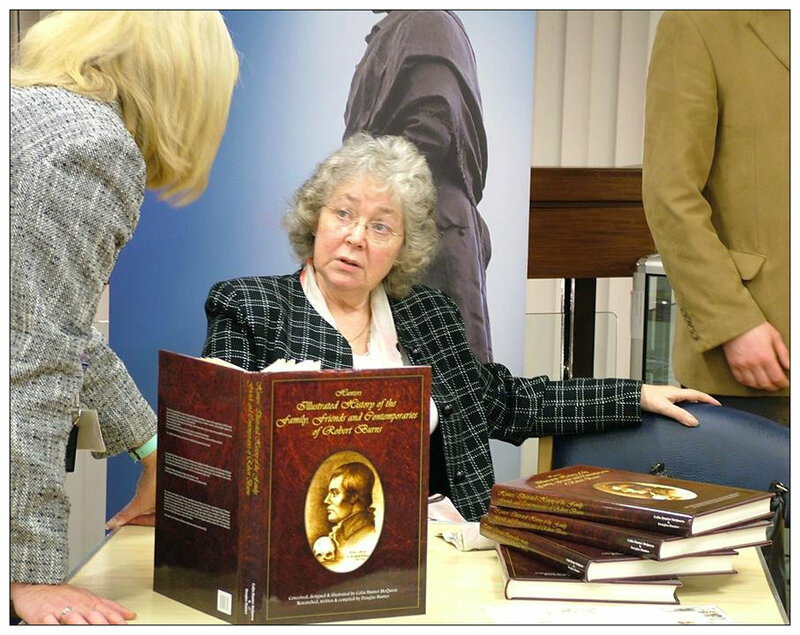 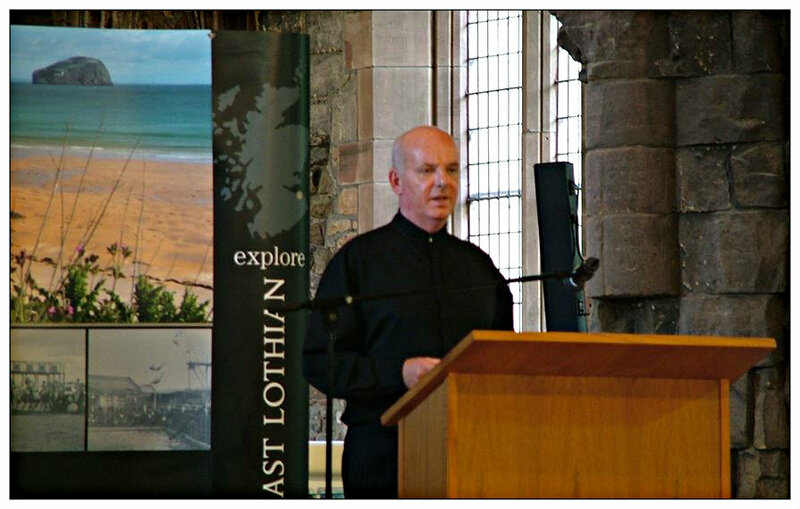 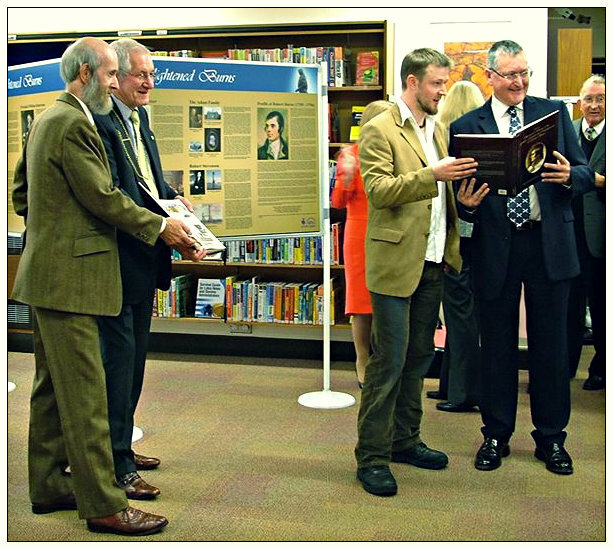 The exhibition and book launches continued into 2010 with events at Lennoxlove House 31st of May 2010 and at the National Archives of Scotland, Edinburgh 19 of August 2010.